Every athlete faces a difficult patch in their training. For many athletes in the Northern hemisphere, race season seems so far away. The length of daylight still seems short. 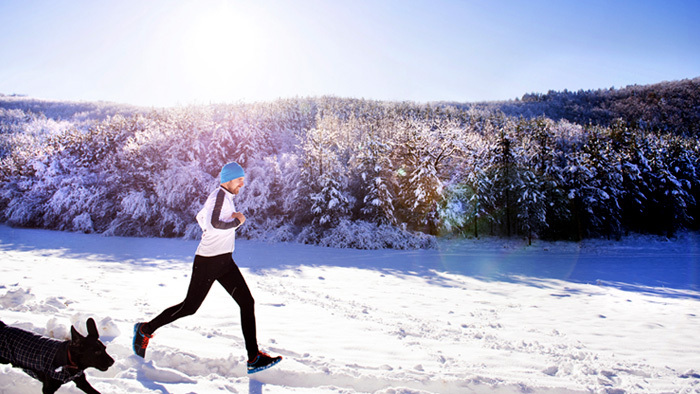 Snow may continue to pile up outside, with biting cold and discouraging winds making running or cycling outdoors a real challenge or at best ill-advised. In the Southern hemisphere, the race season is coming to a close and after a break you will soon be faced with getting back into the rhythm of training. No matter where you live, every athlete feels the strain of a long season, when the grind begins to take its toll. How do you find the motivation when the going gets tough? Use this five step technique to successfully complete the workouts that your training plan calls for. Remind yourself of your annual goal. What are your top priority races (A-races) in which you intend to race to your potential? Now ask yourself, “The day before my A-race, what will I wish I had done way back in early spring? When looking back, what did I not do that I should have?” They may be all those glute-activation and strengthening exercises, or short-rest sprints at the pool, or VO2 max sessions on the trainer. Write those things down, right now, on paper. Yes, you, right now, write them down. Now in your mind’s eye, see yourself on the day before your A-race as though you have already done those things from Step 1. Notice how you feel physically, how your workouts have progressed over the months and how you regard your upcoming race the next day. How do you see that all those workouts from Step 1 have positioned you for your race tomorrow? Utter a short phrase to you tell yourself about how glad you are you completed those workouts. You might say, “I am so glad that I did all those hard intervals on the bike.” Or, “I think I’ve got my glutes about as strong and functional as I can.” Or, “All those 1500-yard straight sets at the pool are really going to pay off tomorrow.” Write down your phrase now. When you recite your phrase, gain a sense of how glad and appreciative you will feel the day before the race with the complete knowledge that you did indeed complete your workouts from Step 1, knowing how much they will help you and support you in your intentions for your A-race. When you can feel the actual feeling of gladness or whatever you feel, in your mind’s eye grab a little pinch of that feeling, some way to hold a bit of that great feeling. Picture your calendar from race day back to today. Now, in your mind’s eye, sprinkle a little bit of the magic from Step 3 backwards, from the future to today, all along your calendar. Picture that, when that workout element comes up on the calendar, you will automatically remember the magic and you will hear the useful phrase from Step 2. Every time you see in your workout schedule that you have the kind of training element you identified (and wrote down, right?) in Step 1, recite the phrase from Step 3 and sprinkle a little of the magic from Step 4. Many athletes find that they really gain terrific benefit from doing this step the night before their workout, often just before going to bed. They find that the next morning they just get up and go about the workout as planned without having to think about it all that much or struggle against it. It becomes almost automatic. You can use this technique over and over on different training elements that you really want to do now. Just do the technique with one training element at a time and wait a day or two between treatments. How many times have you felt regret during the race season for training that you could have done—could be doing—at this time of year? One of the great things about having a brain is that you can turn hindsight into foresight. Use the five simple steps above to create hindsight from next year’s race season—call it future hindsight if you like—and turn it into the foresight to do right now what you know will be most helpful to you come race day. Don’t regret; be glad. Be glad in advance for what you are going to do now that you will be so happy for on race day. The very same race day that today seems far, far away in another time, when the wind gasps warm and friendly, the days are long, and tomorrow’s race start is something you can hardly wait to jump into. You are, yes indeed, that well prepared.